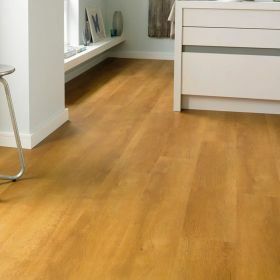 Karndean Design Flooring started in the UK as a small flooring business in 1973, since then they have grown to be a major international manufacturer of luxury vinyl tiles and design led flooring solutions. Like all luxury vinyl tiles available from Floorworld, Karndean Design flooring is very cost effective, quiet underfoot, 100% waterproof flooring, extremely hard wearing and manufactured to imitate perfectly natural materials like stone, wood and marble flooring but with none of the drawbacks. 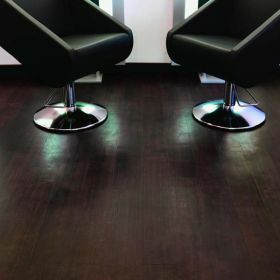 Luxury vinyl tiles arrive conveniently packed as planks and tiles formats which means that it is very easy and extremely invigorating to design your own highly personalised flooring installation. Floorworld has been partnered with and exclusive distributors for Karndean since 2009 and together we have completed many prestigious projects from restaurants such as The Roller Coaster in Yass Mall and high traffic areas such as At The Top retail store at Burj Khalifa which has 2.3 million visitors per year and has had over 15 million visitors walk on the Karndean flooring over the last 7 years since we installed it. Design, ease of use, beauty and low cost, these are the reasons Karndean Design flooring and Floorworld grow together year after year.